FIFTH EDITION: The Fifth Edition was published in February 2015 and is available from McGraw-Hill. Solutions Manual: The Solution Manual for the Fifth Edition is complete, and solutions are available to instructors through the McGraw-Hill System. 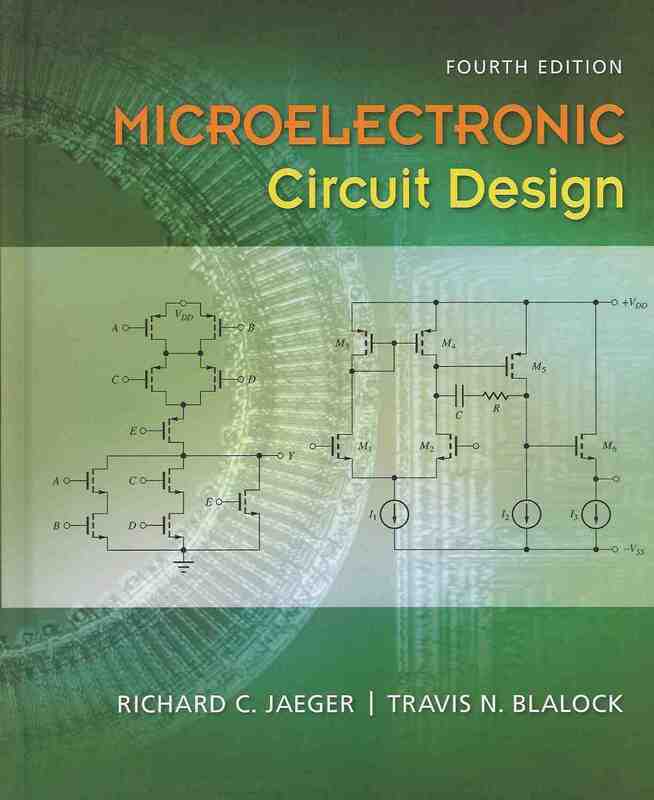 Instructors can also obtain a CD version of the manual directly from Richard Jaeger (rj@jaegerengineering.com). Lecture Notes: Updated lecture notes in PowerPoint form are available to instructors from the authors through the McGraw Hill System or the website below. http://jaegerblalock.com/slides/ Contact the authors for access permission. 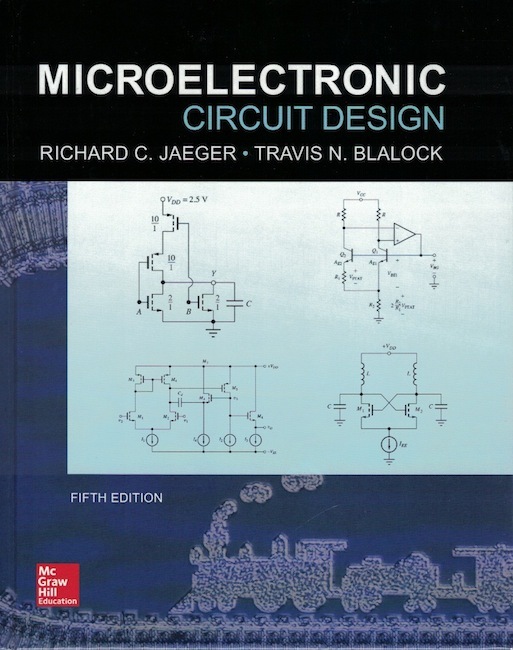 FOURTH EDITION: The Fourth Edition was published in February 2010. Solutions Manual: Instructors can obtain a CD version of the Solution Manual directly from Richard Jaeger (rj@jaegerengineering.com). Updated lecture notes in PowerPoint form are available to instructors from the authors through the website above. JPEG versions of the figures are also available. 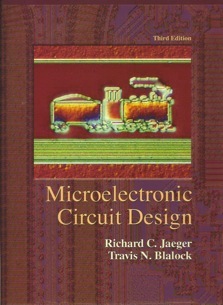 THIRD EDITION: The Third Edition was published in January 2007. Solutions Manual: Instructors can also obtain a CD version of the solution manual directly from Richard Jaeger (rj@jaegerengineering.com). Lecture notes in Power Point form are available. JPEG versions of the figures are also available. Solutions Manual: A CD version of the Solution Manual is available to instructors from Richard Jaeger (rj@jaegerengineering.com). 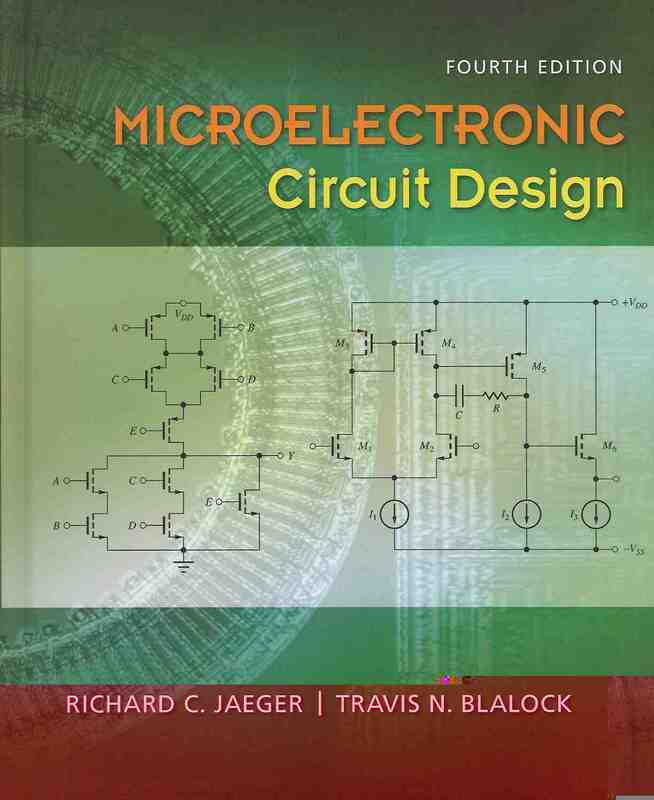 Lecture notes in Power Point form are available for all chapters. JPEG versions of the figures are also available. 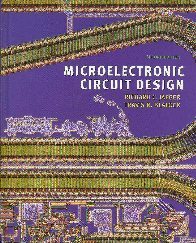 Translations: Chinese, Greek, Italian, Korean and Spanish translations of the first edition of Microelectronic Circuit Design are available from McGraw-Hill International.